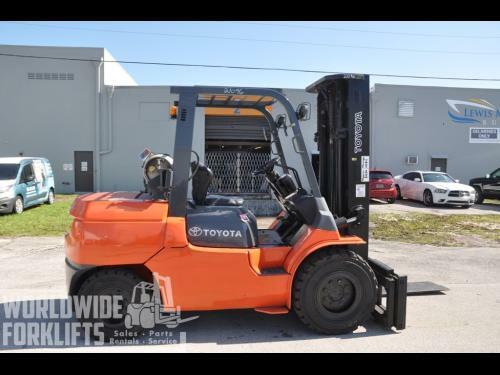 Description: 4,000Lb 2011 Toyota LPG with 3 stage mast and side shifter. 42" forks, BU alarm and strobe. 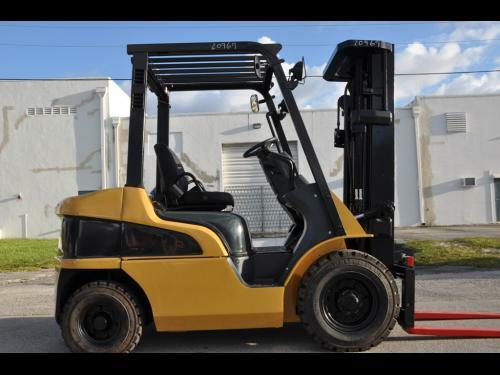 Fully serviced and reconditioned with new tires, paint, oem and osha decals.New arrival. Sample photo. Description: 11,000 Lb capacity Toyota Diesel with Std wide view mast 130/179. Wide Side shifter and 96" wide carriage, block forks but can be changed to Std. 48" forks, BU alarm and strobe. Fully serviced and reconditioned with new tires, paint, OEM and OSHA decals. Wells Fargo lease available at 5.5% interest rate to a qualified buyer. 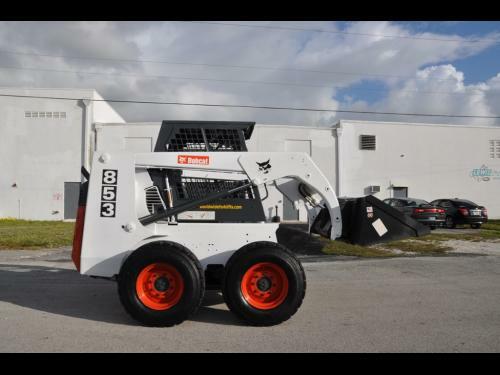 Description: Bobcat 853, diesel, rubber tired skid steer. Joystick control with a rear window for emergency escape. 1,700Lb rated capacity. New bucket. Fully serviced and painted. Contact Daniel Vaz at 954 849 8287 for more information and details. 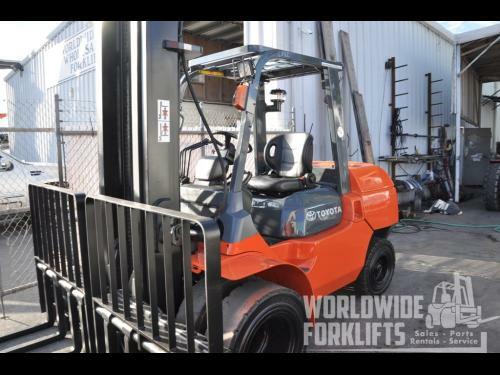 Description: 4000 Lb cushion tired forklift with 3 stage mast 93/218 and side shifter. 42" forks, BU alarm and strobe. Fully serviced and reconditioned with new tires, paint, OEM and OSHA decals. New arrival. Sample photo. 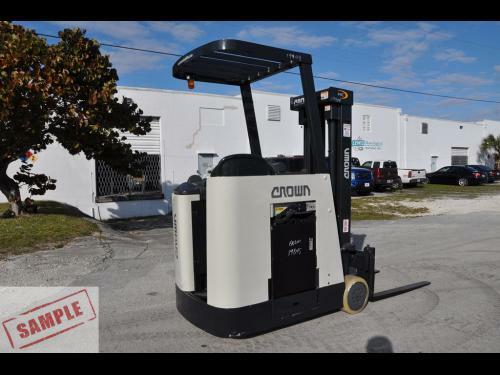 Description: Crown stand up docker. 83/190 mast with side shifter. Comes with a new battery and used charger, 42" forks, BU Alarm, and strobe. Fully serviced and reconditioned with new tires, paint, OEM and OSHA decals. 48-month lease available to a qualified buyer through Wells Fargo. New arrival. Sample photo. 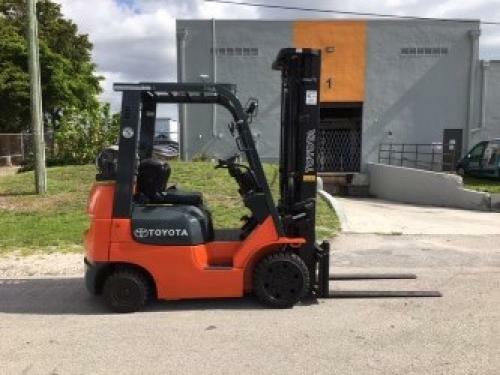 Description: 10,000Lb Used Toyota forklift with 3 stage mast and side shifter. LPG, 48" forks, BU alarm, and strobe. Wide singles. Fully serviced and reconditioned with new tires, paint, OEM and OSHA decals. Wells Fargo lease available to a qualified buyer. New arrival. Sample photo. 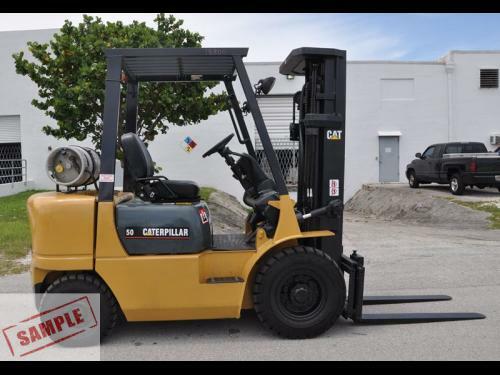 Description: Used 5000Lb Cat/Mitsu with low clearance mast, and side shift/fork positioner. 42" forks, Back up alarm and strobe. Low original hours. Fully serviced and reconditioned with new tires (or you may keep the 80% non marking solid pneumatic drives), paint, OEM and Osha decals. New arrival. Sample photos. 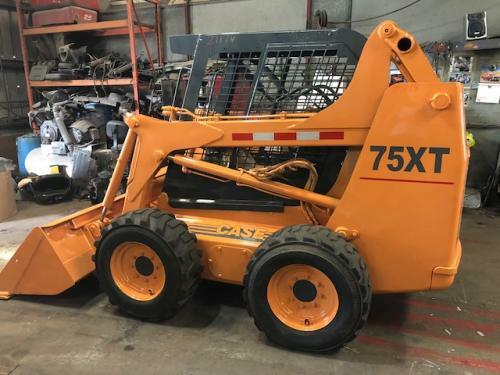 Description: Case 75XT rubber tired skid steer with Cummins diesel engine, standard bucket, ROPS operator environment. Fully serviced and reconditioned including new tires, paint OEM and OSHA decals. Ready to go to work. Description: Case 75XT Skid steer, rubber tire, cummins engine standard bucket. Fully serviced and reconditioned with new tires, paint, OEM and OSHA decals. Description: 5000LB cat diesel pneumatic with 3 stage mast and side shifter. 42" forks, BU Alarm and strobe. Fully serviced and reconditioned with new tires, paint, OEM and OSHA decals.